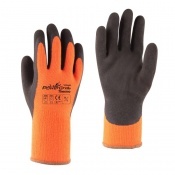 Working in cold conditions can reduce your ability to grip items, particularly if you aren't wearing suitable protection. The Towa PowerGrab Thermo TOW334 Thermal-Lined Gloves with Yellow Liner feature a thermal liner that allows you to comfortably handle objects even in cold conditions. 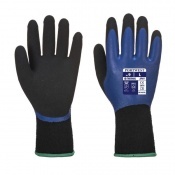 The gloves have a twice-coated latex palm and thumb coating to protect them against liquid penetration for improved safety. 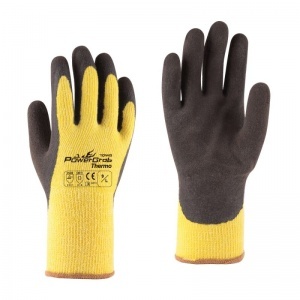 The PowerGrab Thermo TOW334 Gloves are brown in colour with a yellow liner. Their code is TOW334. 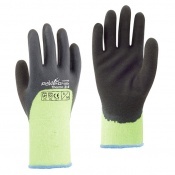 The Towa TOW334 Gloves are available in five different sizes, allowing you to get a more tailored fit. Consult the table below to find out which size will fit you best.